Muscle strength and endurance are important components of both everyday fitness and sports specific performance. 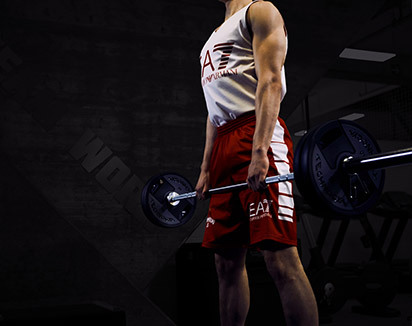 With good muscle tone, individuals are better able to continue to perform everyday activities. Particularly those requiring lifting and lowering the body and limbs with ease as they grow older. For example, climbing stairs and getting up from being seated. Most people tend to think of exercise as falling into two distinct camps: cardiovascular or Strength training (also referred to as resistance or weight training). This is a rather simplistic and "old school" approach. Indeed the difference between strength training and cardiovascular exercises is the level of resistance. The higher the resistance then the fewer the number of repetitions of a particular movement can be performed before reaching the point of overload. This is the point at which the exerciser cannot do another repetition without first resting. 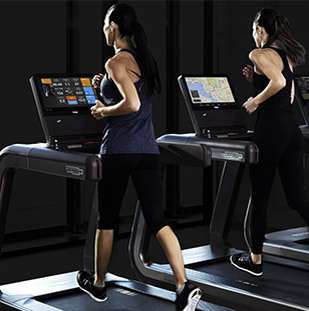 For example, an aerobic exercise like walking on a treadmill becomes a strengthening exercise if the incline is increased. Research conducted Dr Matthew Rhea, Director of Human Movement at A.T. Still University, found that walking at 3 mph with a 12% incline is the same as someone at twice the speed with no incline. 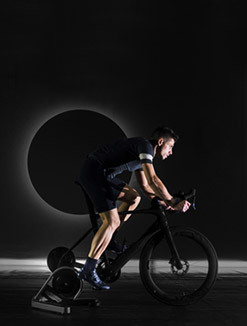 Furthermore, when inclines reached 15% or more, calves, hamstrings and gluteus increased and overall muscle activation in the legs went beyond 75%, compared to just 20% activation on the flat. 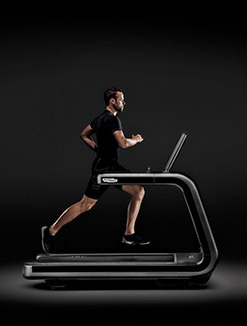 Researchers at the University of Georgia, in a study published in the "Journal of Physiology", also found that performing aerobic exercise uphill rather than on level ground, at the same relative intensity level, activated an average of 7 percent more lower-body muscle fibers per stride. 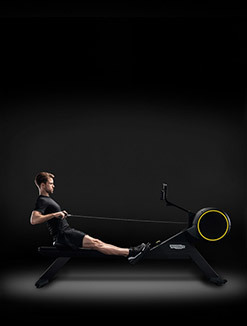 Or imagine turning up the resistance of an exercise bike until it is only just possible to move the paddle through one revolution. The amount of resistance applied makes this a strength exercise. Strength training is a proven way to keep skeletal muscles strong so that they are able to support the joints and provide the individual with good posture. 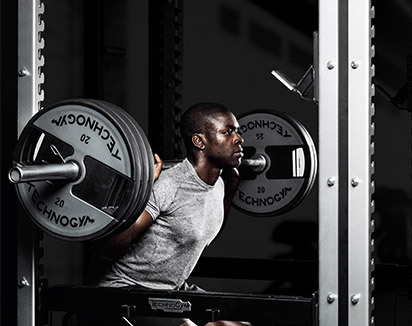 Strength training increases muscle elasticity and builds strong connective tissues, tendons, and ligaments. It also boosts the metabolism by increasing the number of the energy burning cells in the muscles, called mitochondria, more effectively than basic cardio. 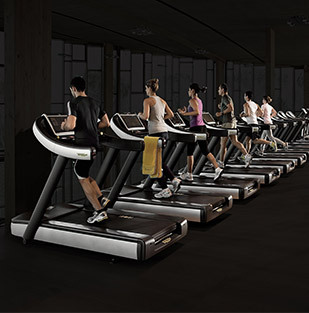 This means people will burn more calories even at rest. Whilst it is typical to think of cardiovascular exercises as being beneficial to the heart, strength training also has a positive impact on this vital organ. Strength training has been shown to slow down the ageing process and provides individuals with more energy and endurance in everyday life. An added bonus of strength training for the older person, particularly women, is that it helps to maintain bone density and reduce the risk of osteoporosis. For those who are trying to lose weight, strength training is an excellent way to get rid of stubborn excess body fat. Unlike traditional cardiovascular exercises, strength training has a much higher post-exercise calorie burn (of up to 72 hours). 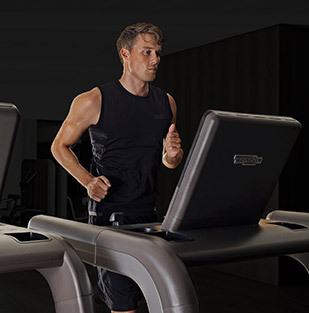 This “afterburn effect” – called “excess post-exercise oxygen consumption” (EPOC) – essentially means that the more intense the exercise, the more oxygen the body uses up afterwards, and so raising both the metabolic rate and the number of calories burned. High Intensity Interval Training (HIIT) has a similar post exercise burn and increase in mitochondria numbers. Therefore, it is a good idea to mix strength training with HIIT, as this will provide a double boost to the fitness program. It is a common misconception that doing strength exercises will "bulk you up". As a result of this, for a long time women were put off using resistance machines and free weights because they feared that they would end up with very male, muscular bodies. Actually, ask any dedicated bodybuilder and they will tell you how difficult it is to increase muscle size! Effective strength training can begin using only body weight. However, once levels of fitness improve, more weight is required to keep seeing the improvements. Free weights require a higher degree of knowledge and skill to be able to execute the exercises correctly and avoid injury. This is because both posture and mechanics of the exercise are important. A common issue with lifting free weights is that form is sacrificed in order to lift heavier weights. Free weights also require a training partner to "spot" (hand you the weights) for you when performing certain exercises. This is not always convenient or practical. 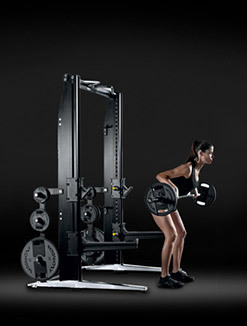 Resistance machines allow you to focus your mind on the effort, as opposed to the mechanics of the movement. 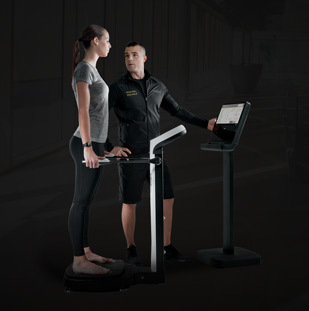 The Pure Strength range from Technogym is an ideal choice for someone seeking to improve their fitness with resistance training. 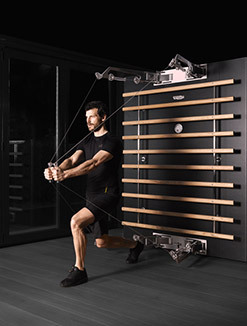 The Pure Strength range was carefully designed to replicate the feeling of using free weights, while optimising the performance of each routine through the ergonomic and biomechanical design of the equipment. Veteran users of the old type of weight machines will tell you that one of the biggest problems with them was the time taken to set up the machine before being able to use it. As every machine was different, a lot of time was wasted fumbling around. 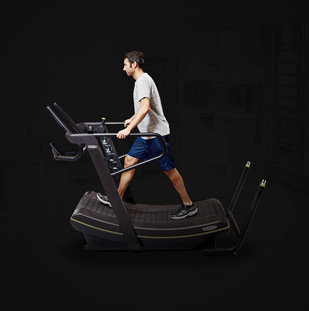 Adjusting machines not only prolonged the time spent in the gym, but also increased the risk of injury. 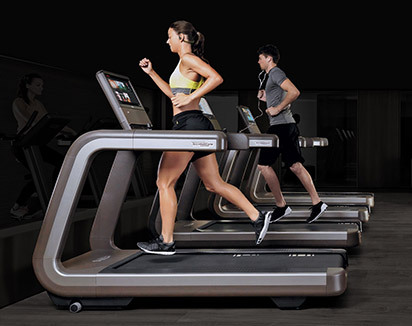 This was due to an increased likelihood of muscles cooling down in between equipment changes and participants forgetting to warm them up again. The Pure Strength range of equipment completely eliminates this issue. The ten separate pieces of equipment are designed so that whatever seat adjustment the user makes on one is mirrored on all the others. If you are a number 6 on the Chest Press, you’ll be a 6 on all other equipment in the Pure Strength range. No more frustrating trial-and-error trying to get yourself comfortable just to begin your session! 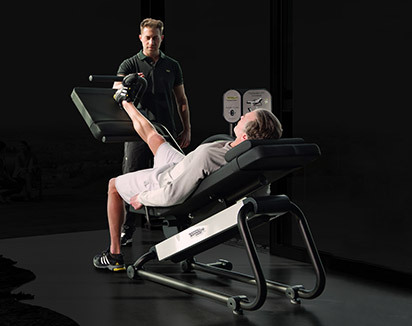 The easily adjustable seats are just one of the features of the Pure Strength range that make it the most effective resistance equipment on the market. 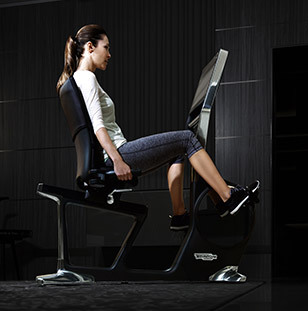 Uncomfortable seating can make the exercise experience unpleasant and put off users. With Pure Strength, a special high-density upholstery filling adapts to the shape of the body. 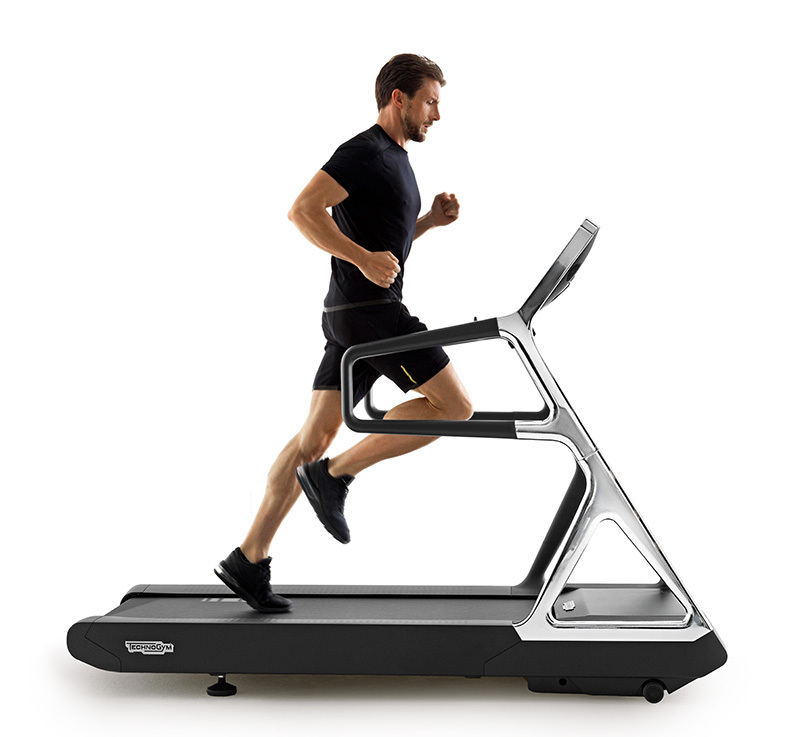 This provides a stabilising effect and maximum comfort during exercise. Both the ergonomic design and the grained texture of the surface on the grips, which prevents the user’s hands slipping, ensure that the push and pull movements used to lift the weights become more effective and comfortable. 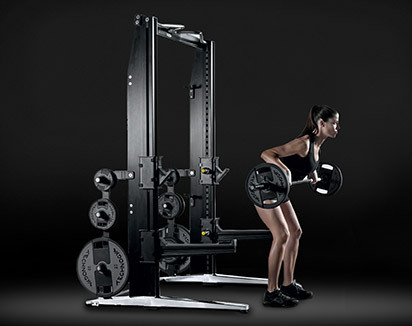 Pure Strength equipment increases performance by making every workout count. 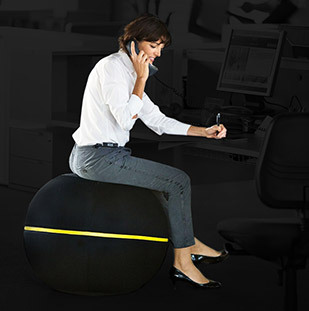 Its ease of use and natural movements make it an enjoyable work out too. People who enjoy exercising are more likely to repeat the experience and stick with their program.